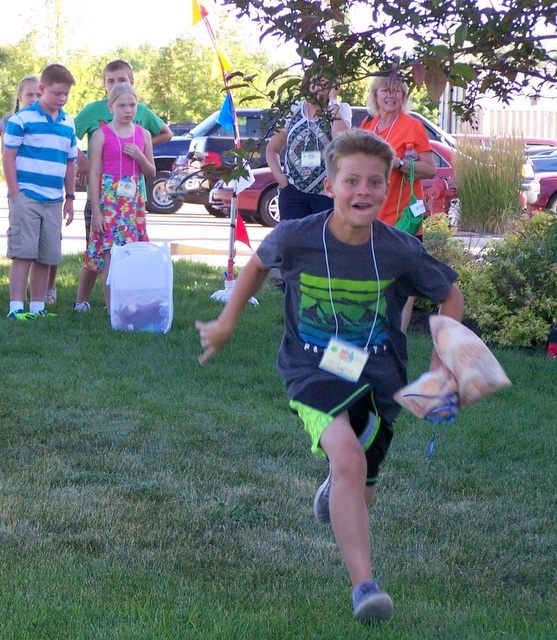 Sunday School for children (preschool through grade 6) takes place during the 10:00 worship hour. Children start in the sanctuary with their parents, stay through the children's sermon, and then leave to go to their classes. The order is different on communion Sundays (usually the first Sunday of the month), when the kids go to class first. Late in the hour, the teachers bring the children to the sanctuary to participate in holy communion. 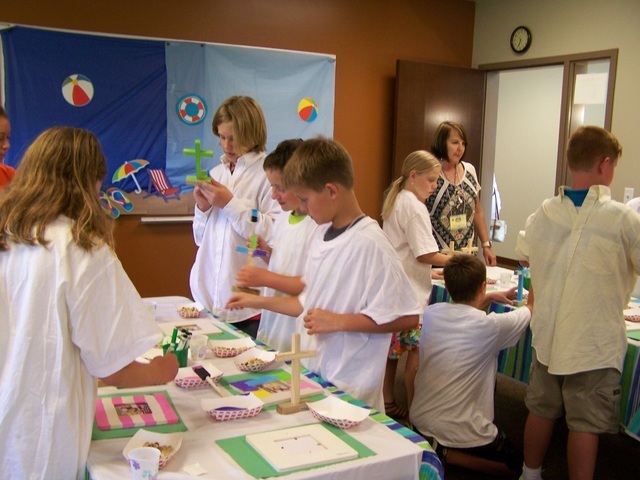 Children's Sunday School is a September through May program. During the summer months, kids stay in worship with their parents. 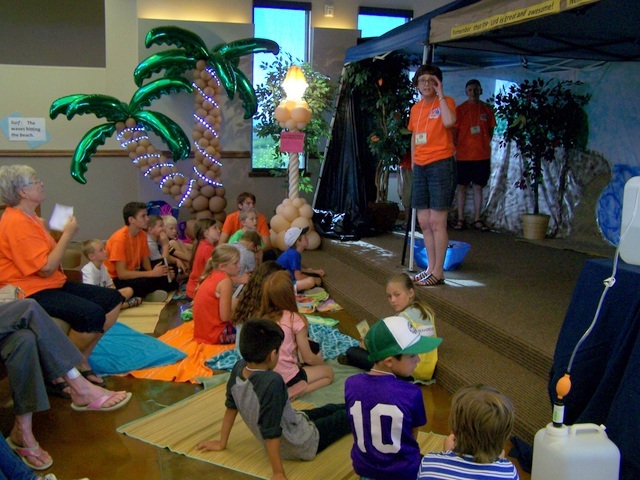 Vacation Bible School is a really fun week each year, when kids learn important spiritual lessons. 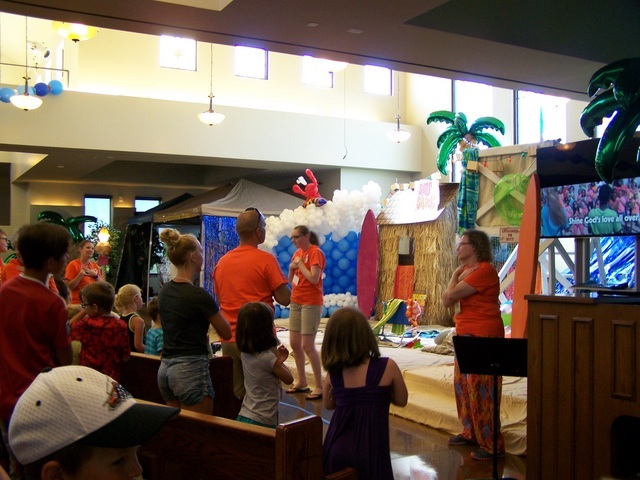 In 2016, we caught the wave of God's Amazing Love at Surf Shack VBS. Watch for announcement of our 2017 dates.